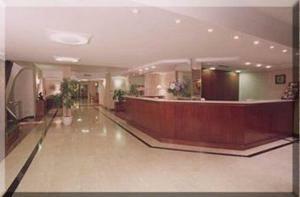 Gran Hotel Buenos Aires, Buenos Aires discount hotels and accommodation. Gran Hotel Buenos Aires is located in the privileged area of San Martin Square, surrounded by stunning buildings, product of an European inheritance in which different architectonic styles like Neo-Gothic, French and Italian converge´s.The hotel is within walking distance from elegant shopping centers, great restaurants, airline companies, train and bus stations, the ship terminal, downtown and touristic areas.San Martín Square, Probably one of the most beautiful squares of Buenos Aires, it is at the junction with Florida Pedestrian Street and Santa Fe Avenue, with elegant stores and the most important airline company location. View photos, room descriptions and make online reservations at Gran Hotel Buenos Aires. Save on room prices at Gran Hotel Buenos Aires, Buenos Aires.